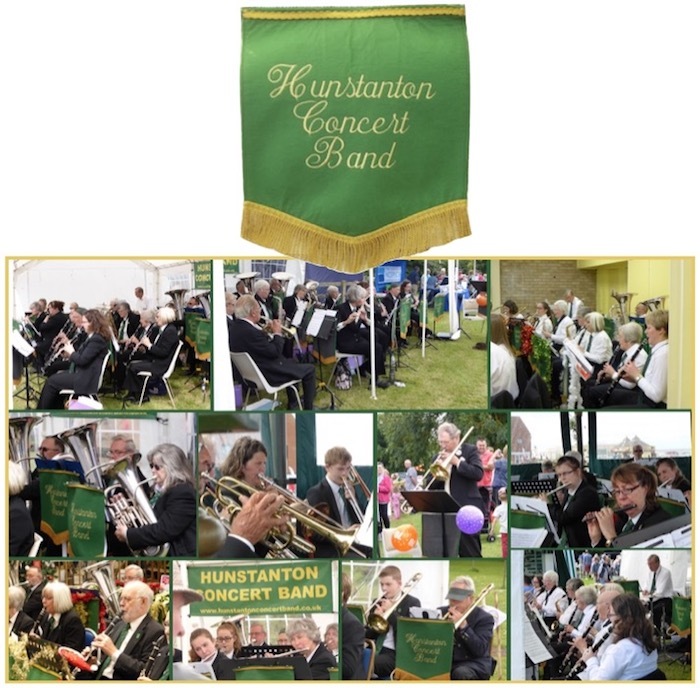 Hunstanton Concert Band is the local wind band in north west Norfolk playing a wide selection of music at venues in Hunstanton and the surrounding villages and towns. If you play a wind instrument or percussion please check out the Rehearsals page for details of when and where we get together to rehearse, and the Vacancies page for information regarding current vacancies and about becoming a member. There are lots of photos of the band and its activities in the Gallery section and a full list of the Committee members can be found on the Committee page. Profiles of the band and the Director of Music, Chris Gutteridge, are on the About the band page. Public Appearances of the Band updated. First photos of 2019 in the Gallery! New items on the Past Events page. This web site uses Google Analytics who place cookies on your computer. These cookies collect information about how visitors use our site. number of visitors to the site, where visitors have come from and the pages they have visited. Click here for an overview of privacy at Google. This web site uses no cookies other than those placed by Google Analytics.